Spring Fling 2013 a "Tribute to Monet"
Join us for the Annual Spring Fling. 8 Participating Quilt Shops featuring a Tribute to Monet. 1 FREE Monet block and coordinating fat eighth from each shop. (while supplies last) Visit all 8 shops to collect the 8 different Monet Blocks to have the complete set. See what each shop has made with the fabric and get that shop's pattern. Grand Prize: One lucky winner who makes it to all 8 shops gets 24 yards of fabric. Your choice of 3 yards of fabric from each shop. $50.00 Gift Certificates! One from each shop. All participants eligible. Bring in can goods to your local shop to be donated to a local food bank and receive a discount coupon for 20% off 1 item. Excluding sewing machines. Only canned goods and no expired food please. Stars and Scraps in Corona, Quilter's Cocoon in Riverside, Painted Lady in Redlands, Georgia's Quilting Obsession, Cherry Berry and Busy Bee in Calimesa, Monica's Quilt and Bead's and Quilter's Faire in Palm Desert. 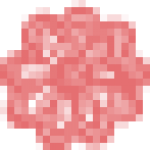 Addresses available at each shop on map. 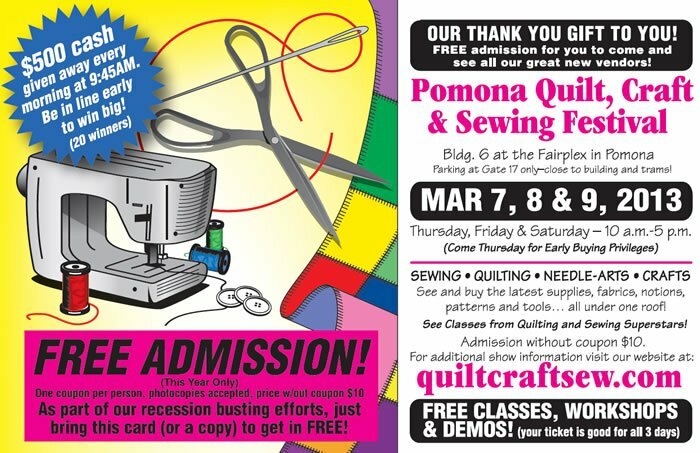 March 7th, 8th and 9th be will be vending the Rusty Barn Quilt, Craft and Sewing Festival in Pomona. Admission is FREE! Hope to see many of you the next 2 weekends. I've been shopping!